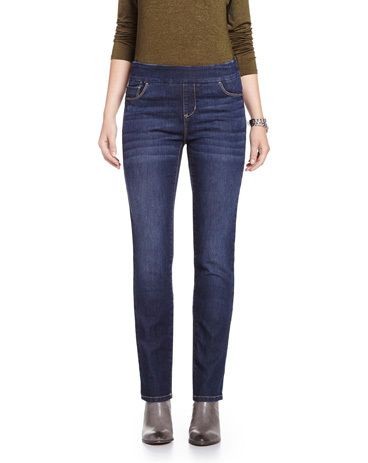 The Insider skinny jeans are our leanest and sleekest style. You'll love their authentic look and how they sit below the waist but above the hips. Designed to accentuate your shape while keeping you comfortable, these jeans are a total game changer. We love the cropped leg for a perfect spring look. Front rise: 8 3/4" ; inseam: 24" ; leg opening: 6 1/4"
Wash jeans inside out, in cold water to minimize fading and prevent dye from bleeding.